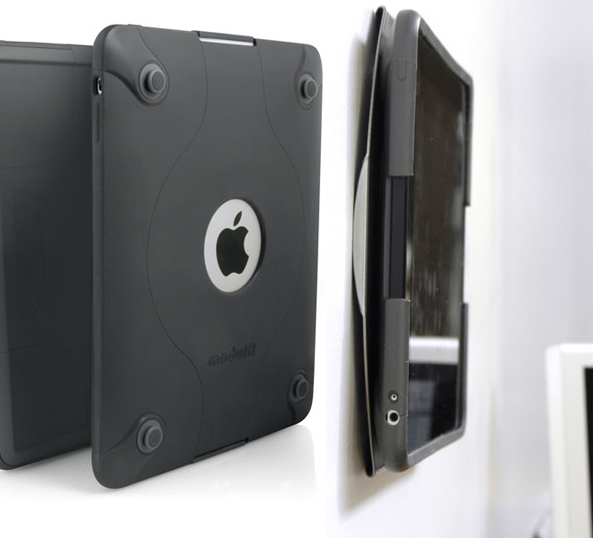 This might be the most useful case for the iPad to be on the market. The ModulR promises you and your iPad the ability to do almost anything you want, from just being a normal protective case to a wall mountable iPad. How it works is you buy the ModulR iPad case which will run you $59 and with that you also get a cover, and to be able to extend your iPad's ability to do some crazy things you will need to purchase some ModulR accessories which include and transform your iPad's modulR case into a slim wall mount, a quick stand for viewing movies and photos, a car mount that attaches to the back of your car's headrest, a wall swing mount and last but not least a shoulder strap! Phew, that's a lot of accessories and customization. Of course, all this will cost you an extra buck and will be available to pre-order in mid-June 2010. For more info, pics and prices, hit up the link below.